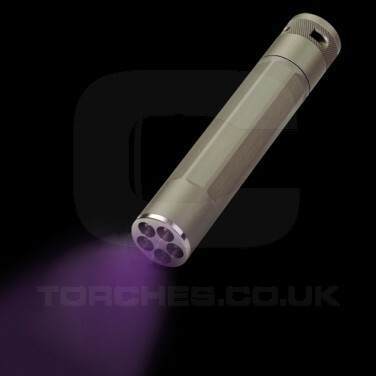 The Inova X5 UV Torch is a handheld torch with five high powered UV LED bulbs which will last for up to 1000 hours aswell as a powerful UV light which has the capability to detect UV reactive material on the 365-400 nanometer wavelength making this product suitable for use by tradesmen,experts in pest control, forensic scientists examining crime scene particles and detectives identifying fraudulent documents and counterfeit money. It can even detect smartwater so would also be suitable for use by police officers investigating burglaries where smartwater has been activated. 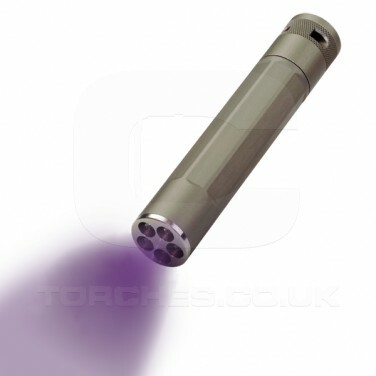 The Inova X5 UV Torch has a precision machined aluminium body, a water resistant construction and is impact resistant, all aspects of which are vital in order to guarantee good quality.